First of all, what exactly is a cavity? When plaque is not properly removed from your teeth, it starts to produce an acid that eats away at your tooth enamel. This then creates a hole, known more commonly as a cavity. 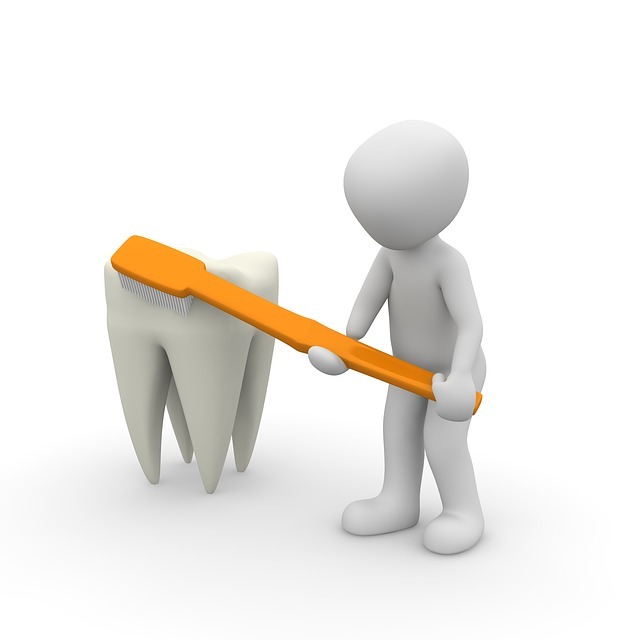 So now that you know what a cavity is, how do you prevent them? Lots of sugars and carbohydrates are exactly what the bacteria in your mouth wants you to eat. So make sure that you’re eating a well-balanced diet full of fruits, veggies, and protein too. Sugar and carbs might be the things you crave, but in this case, too much of a good thing can result in cavities. Morning and night are what it’s all about. Brushing should be one of the first things you do when you get up and the last thing you do before going to bed. You need to have a regular oral hygiene routine that you stick to. No matter how tired you are at night or how busy you are in the morning, never skip out on brushing your teeth. Brushing does a lot, but it can’t do everything. Plaque and tiny food particles can get stuck between your teeth and in your gums. So make sure you’re flossing daily in order to remove that unwanted debris and keep your mouth as clean and healthy as possible. Leftover food particles—particularly sugar, can put you on the fast track for a cavity. Some people just love sugar, and you might be one of them, but going overboard isn’t just worrisome for your weight or your health, it affects your teeth too. Sugary foods feed the bacteria in your mouth. So fight the urge of your sweet tooth and you’ll be fighting cavities too. Your toothbrush needs to be replaced on a regular basis. We recommend at least every six months or when the bristles of your brush begin to flatten out. Continuing to use an old worn out toothbrush won’t clean your teeth properly, and even worse, your toothbrush can develop bacteria that certainly won’t help prevent cavities. Sugary drinks aren’t doing your teeth any favors. Not only is water healthier for your body, it’s healthier for your teeth too. Water rinses the mouth and washes away sugar and bacteria. It’s not just soda either. Drinking too much coffee or tea can do damage too. At the end of the day, sugary acidic drinks can do a lot of harm. So as often as possible, choose water instead. It’s important to talk care of your teeth at home, but you also need to make regular dental appointments to ensure your teeth are as healthy as can be. Dentists reach the spots you miss and give your mouth a clean you just can’t get at home. We have the tools to fight cavities in ways you can’t, so never skip a visit. It’s sad to say that getting a cavity is almost as common as getting a cold, but there are things you can do to prevent them. Follow these steps in order to keep your mouth clean and healthy, because while we love seeing you at your visits, we want your mouths to be cavity free.